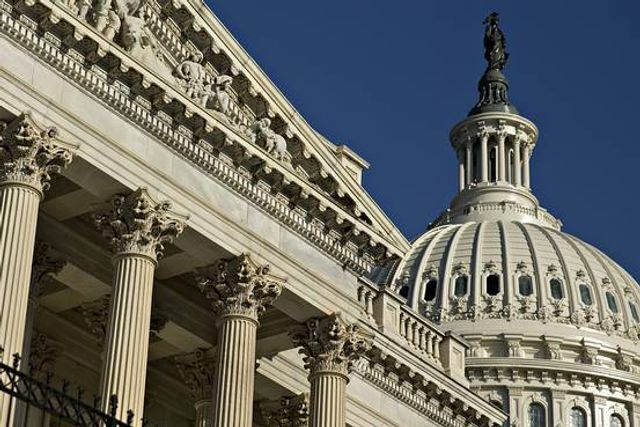 A bipartisan group of senators is pushing legislation that would enable municipal bonds to qualify for banks' capital requirements. Senate legislation would place municipal bonds on the lowest rung of the “high quality liquid assets” category. That means they would be treated on par with corporate bonds, but not as favorably as under related legislation approved by the House early this year. “We must ensure a continued and reliable access to capital markets for our local governments,” Mr. Warner said in a written statement. “This legislation represents a compromise that achieves that while appropriately balancing concerns for the long term stability of our financial system.” The rules, slated to go into effect next year, are aimed at making banks hold more cash or securities that are easy to sell. The Federal Reserve and two other bank regulators had originally decided debt issued by states and localities didn’t make the cut—prompting a backlash from banks, lawmakers and states and localities.